What happens when a native Hawaiian leaves his island home on the Kona coast and heads for the High Desert? In the case of Merv Abe, he brought the taste of the islands with him and opened Aloha Café, Bend’s own little piece of Hawaiian paradise. 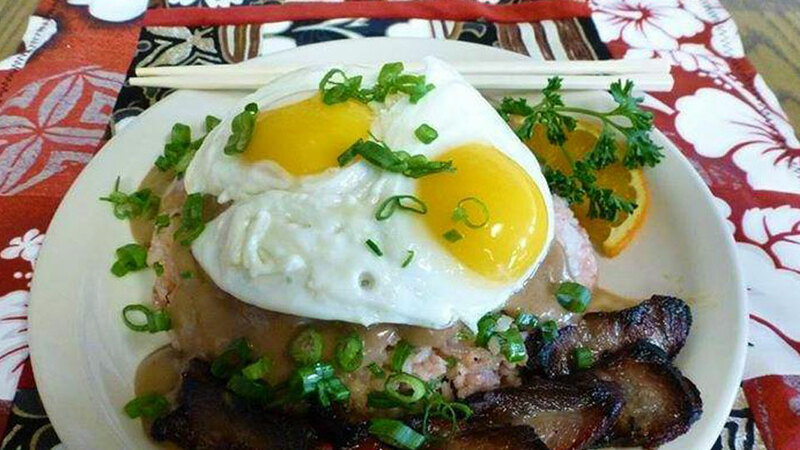 Aloha Café is located in the Crossroads Shopping Center on Bend’s Eastside and features island favorites including Loco Moco, Kalua Pork, Volcano Chicken and Hawaii’s ubiquitous plate lunch side; Potato-Macaroni Salad. If you’re looking for a crowd pleaser that will feed a crowd, try the Big Kahuna platter. Designed for the indecisive (and the hungry), this menu favorite features six different meats and three sides. Dine in the chill Hawaiian-themed restaurant, complete with the sounds of Aloha, or take advantage of Aloha Café’s new text ordering service. Text them your order and when you would like to pick it up and they’ll have it ready for you.